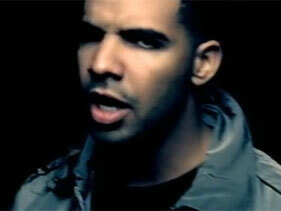 ashlee nicole spills | blog: New Video | Drake - "Over." Finally, here's Drake's debut video for his latest hit "Over," directed by Anthony Mandler. Omg, did y'all see that? He looked at the camera! Yayyy! Step one. And, Is it me or does that blonde chick resemble Rocsi? Okay, so, his solo video was long overdue. Am I the only one that thinks it's so crazy how dude has been out for over awhile, in video after video, and now just putting out his first video? No, "Successful" and "Best I Ever Had" were "clips," this video is his first, according to Drake in an MTV interview. Are you even still anticipating his debut album?! Lawd. Wonder if that'll get pushed back, again. Thank Me Later is slated to be in stores June 2010.